Pacific Gas and Electric (PG&E) has been in the news (1,2, 3) routinely over the last decade and not in a good way. This negative attention is due to several high-profile crises that have cost people their lives, their homes, and their communities… and run in the 10’s of billions of dollars. This includes three crises in the past 6 months; the horrific Camp Forest Fire of late 2018, yet another pipeline explosion in downtown San Francisco the first week of February 2019, and entering bankruptcy in the 1st quarter of 2019 (4). 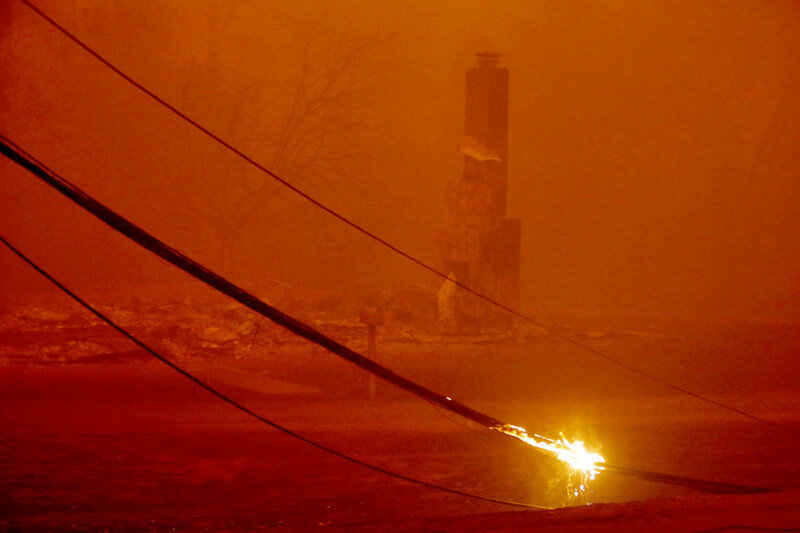 So why does PG&E find themselves in the spotlight yet again? Without a doubt, utilities like PG&E exist in a risky and complex world where accidents can, and do, happen. PG&E certainly has the money, tools, equipment, IT systems, and processes that similar utilities elsewhere have. They’ve been court ordered to implement programs, training, and measurements to improve how they function. And certainly, the individual employees don’t want to create catastrophes any more than other utility workers. So, what will it take to turn PG&E into a utility that the people of California can trust and believe in? A High Reliability Organization (HRO) is one that routinely succeeds in avoiding catastrophes in an environment where normal accidents can be expected due to risk factors and complexity. Naturally then, PG&E, as a large, complex organization operating in an industry that will experience accidents, including deadly or abnormally expensive, needs to function with a higher degree of reliability. Failure: A shop floor to boardroom preoccupation with understanding failure – before, during, and after it occurs. Simplification: A passion for resisting the easy answer that comes from simplifying explanations/root causes of problems. Operations: A staunch recognition that operations is a key center of gravity for eliminating or creating problems. Resilience: An insistence that preventing failures requires investing in resilient processes and diligent people, primarily at the lowest levels of the hierarchy. Expertise: An overriding trust that operational expertise is found closest to the day-to-day efforts rather than at the top of the organizational hierarchy. Together, these principles guide an organization in the day-to-day efforts at being highly reliable. They become the basis of the organization’s environment; the means for each employee, stakeholder, and leader to know how to operate. When the organization treats these as “nice to have” and not “must have”, dire consequences can happen. Used, recognized, rewarded, and celebrated everyday these principles grow a “safety culture”, a culture that PG&E critically needs to create. Many organizations might not face the level of crisis that PG&E is dealing with. And many may not consider themselves “high reliability”. However, there are lessons that apply to industries and companies outside the traditional HRO model. Culture is King and is owned by leadership – company culture determines how employees act, make decisions, and treat others including customers. It is implemented and visible on the front line of the business, but it is created and supported (or not) by company leaders. It goes beyond words in a Mission/Vision statement. It is the the actions and decisions taken by leaders as they uphold the culture they aspire to have (again… or not), especially when doing so is hard, unpleasant, unpopular, or expensive. Investing in HRO is far more cost effective than paying for Crisis Management – this requires the hard commitment to put in the time, money, and effort before a crisis occurs. It starts at the job description and ends with a delivered product. It permeates processes, procedures and quality systems. It is evidenced by have a functioning Employee Health & Safety committee and a dedicated HRO role on the leadership team. And it means listening for and reacting to staff input and ideas earlier rather than later. Beware the “Profit Above All” business model – when business is treated as a zero-sum effort, decisions focus on short term returns, planning and investment are under prioritized, and staff operate at their lowest levels of effort and accountability. This is fertile ground for errors, looking the other way, and crises that are full blown before coming to light. Give Operations the tools, authority, and accountability to succeed – errors and mistakes can happen anywhere, but the closer to the customer they happen, the more critical the impact and costly the recovery. An HRO framework gives Operations and their support teams the means to react sooner and further away from the customer. Improving communication skills accelerates outcomes – direct, authentic, and transparent communication is the hallmark of reliability. Fierce conversations, addressing issues, problems, critiques, and human issues takes training, practice, and acceptance. The skills have to be practiced routinely in day-to-day environments so that are S.O.P. when a crisis develops. High Reliability Organizing principles are a framework that many businesses can adopt and adapt to succeed. For some, like utilities and emergency rooms, it can mean life or death outcomes. For many others it can mean the difference between ultimate business success and failure. And for some, like PG&E, it can mean both.